UNPO: Somaliland: Implications Of Somali Government Being Recognised By U.S.A.
Somaliland: Implications Of Somali Government Being Recognised By U.S.A. The former President of Somaliland has declared that U.S. recognition of the Somali provincial government could have an adverse effect and that a national discussion on the implications for Somaliland’s sovereignty is needed. The former President of Somaliland, Dahir Rayale Kahin recently gave a lengthy interview to the Somaliland press to talk about the current situation in the country, the demise of his political party UDUB, relations between Somaliland and Somalia and his political future. Former President Rayale who is currently in France stated that the recent declaration by the United States of America to recognise the provisional government of Somalia could have an adverse affect and needs a national discussion to prepare for its implication on Somaliland's sovereignty. 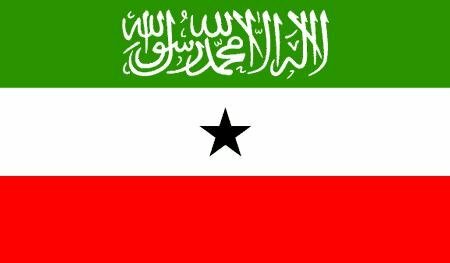 Former President Rayale stated that it is unlikely that the United States will get actively involved in any discussions between Somaliland and Somalia, but having thrown its weight behind the provisional government in Somalia, Somaliland is in danger of being diplomatically isolated. Speaking of his current and future political role, former President Rayale stated that at the moment his role is apolitical: someone who considers himself an elder of the country, willing to give advice and share his considerable experience with any Somaliland leader. With regard to the demise of UDUB, former President Rayale limited his remarks to the fact that the political arena is constantly changing and although UDUB may have ceased to exist, its ideas and goals can been seen in all political parties and certainly in both Wadani and New UCID. Former President Dahir Rayale Kahin stressed his commitment to Somaliland and made it clear that he will always be prepared to be of service to the nation.